Kittens, I really can’t begin to describe how down in the dumps I am about October being over, already! It feels like this month has just flown by, which is gutting, as the tenth month is most definitely my favourite of the year. Why? Halloween, duhhh. Despite only recently transitioning from Scrooge to Elf (I can’t wait for xmas’16), I’m still in love with the Autumn season the most. All of the colours are so rich and vibrant, and it’s just the right temperature outside to start layering up and embrace the knit. 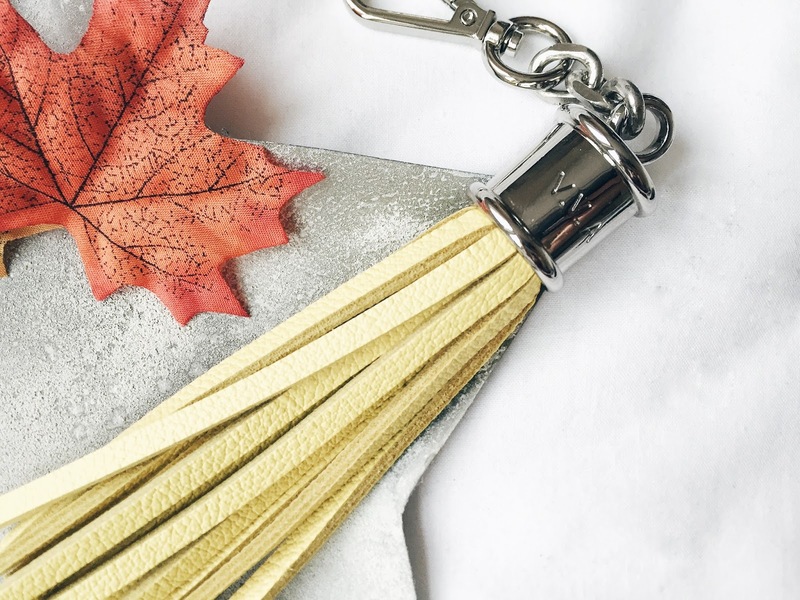 Social Network Solutions sent me over their Fall Favourites #SNSHamper* which is a collection of all things perfect for fall to have a nosey at! Ahhh, guys. I can’t explain how excited I was to see this in the hamper. The palette itself is so unique – with weighted plastic casing and minimalistic design – but it also features a really strange magnetic closing system, which I love. The whole of the lid actually detaches from the bottom of the palette (containing the pans), and magnetically re-connects together when you’re done contouring. 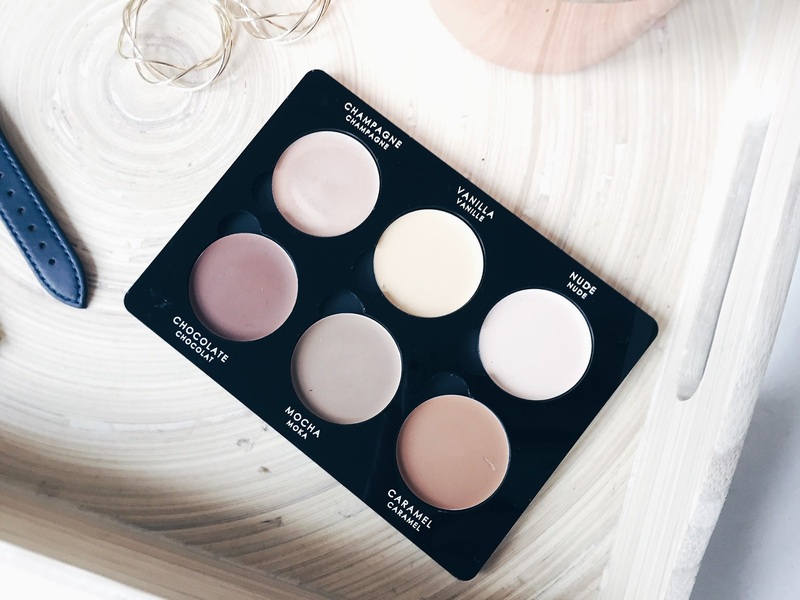 The cream contour shade selection is brilliant, with one shimmer highlight, two conceal/correctors, and 3 contour shades (but these could be correctors on deeper skin tones!). 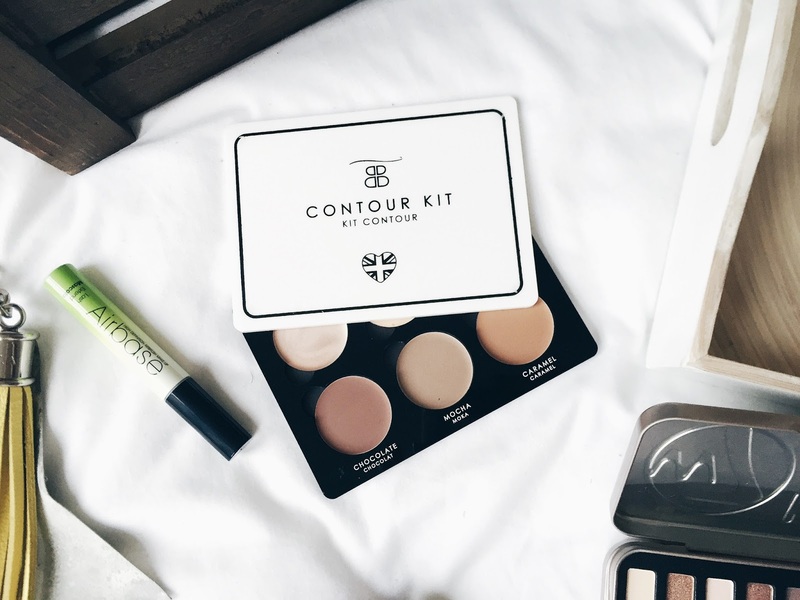 Despite not using cream versions of makeup very often, I do love a good cream contour as it really does last on the skin throughout the day, unlike it’s powder counterpart. These shades can also be removed by pan, so I can throw my faves in a z palette for when I’m travelling, yaaas! This spritz was actually the first thing I spotted in the hamper, as my eyes were automatically drawn to it. I’m actually running out of my beloved Marc J fave perfume, so I’ve been serially popping into Boots to have a sniff of anything new in the Fragrance section. 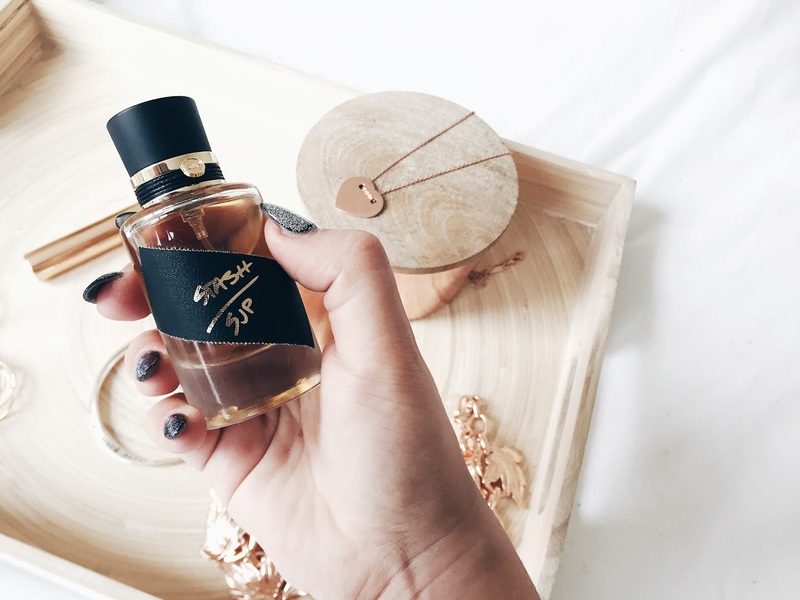 The packaging everything I could ask for in a parfum, aka a sleek shape and black & gold detailing. It definitely gets a “hell yes” from me. The only gripe I have with this is the weird sticker thingy on the front which somehow cheapens it slightly. (I am actually going to try and peel it off tbh). The scent is actually right up my street, with woody, earthy notes that draw on a musky vibe. I can definitely tell why they added this to the hamper as it is the purrrfect scent for Autumn. If you’re not into the usual intense floral scents out there, you might just love this one. 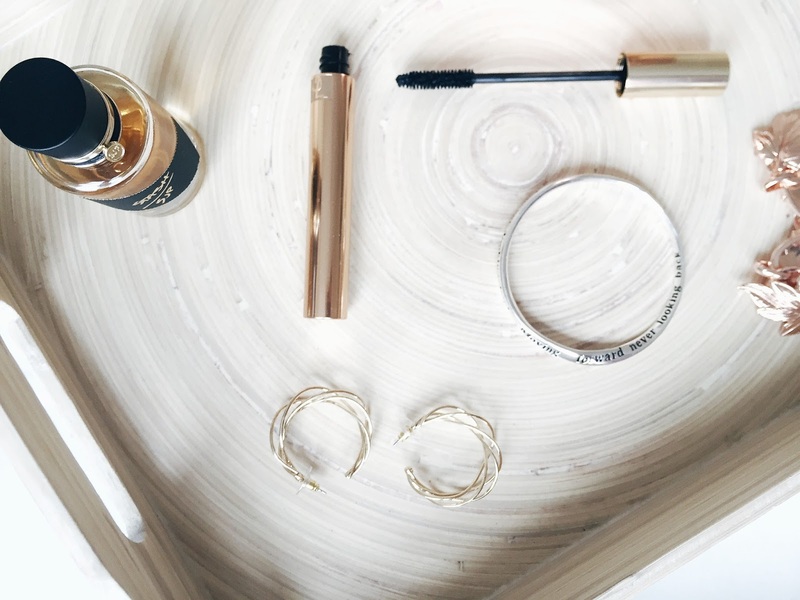 Ummm okay, any girl’s heart is bound to skip a beat at the sight of a YSL mascara, right? I haven’t actually tried anything, bar the lippies, from YSL’s beauty range. Which, I agree, is pretty preposterous. This mascara promises to enhance your eyes with a false lash effect, and apparently has a non-drying formula. It’s safe to say that my lil’ tiny lashes are jumping for joy rn. Of course, the packaging is to die for, but the brush also has a lot of promise. I do enjoy a thinner mascara brush purely because my lashes are so small and can get seriously overwhelmed by a big, bushy brush. The mascara itself also has a fruity kind of smell, which I’ve never experienced in a mascara before, but it’s not unpleasant. Seriously can’t wait to give this one a whirl, guys n’ gals. Social Network Solutions are really treatin’ with two mascaras in the hamper oh myyyy. 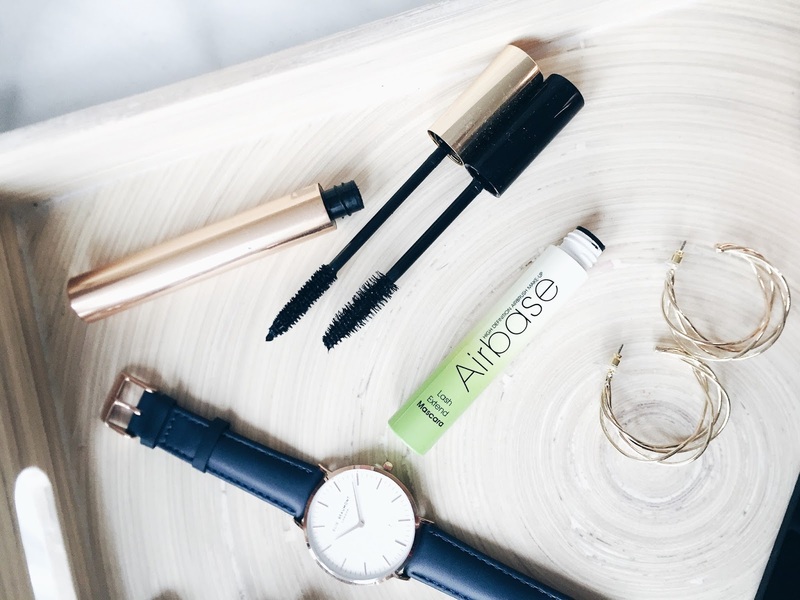 This one claims to be a “daily lengthening mascara” and contains Capixyl for super strong lashes – no complaints there. From having a peek at the wand, this one is definitely some form of fibre mascara. 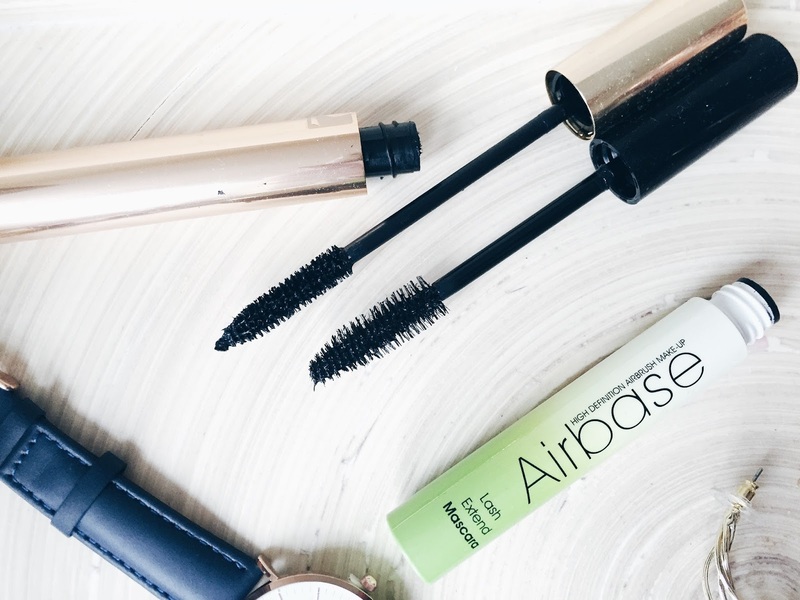 If you didn’t know already, I am obsessed with fibre mascara as they work wonders for my short lashes. This one has a fairly large bristle brush, so only time will tell if I’ll be able to get it to work with my small eyes & lashes. As soon as I opened the palette and had a nosey through the shades, I just couldn’t put my finger on what was so familiar about it. 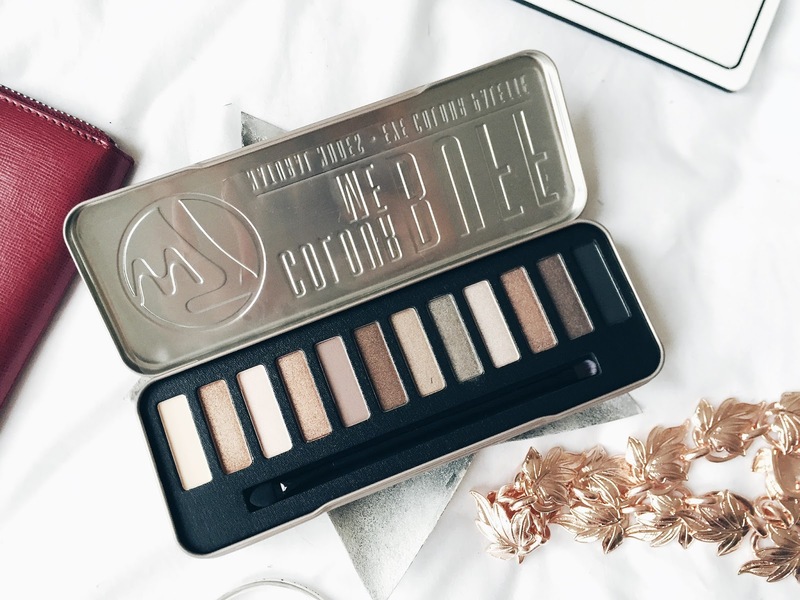 I am going to throw it out there and say that this palette is definitely a shade dupe for the Naked 2 (£38.50) for only around £4.00, bargain. I do own the Naked 2 and I’ve had it for around a year now, so it has become an old cult fave of mine – however it did cost a bombbbb. 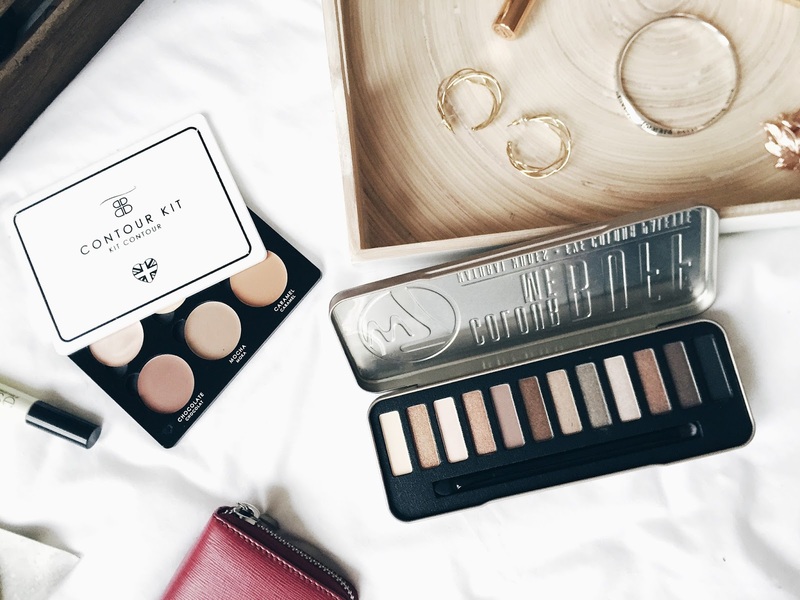 This palette, on the other hand, is definitely affordable and would be a great option if you’re not the type of person to splurge on makeup products like I do. After having a little swatch, it’s clear that these shadows are a little powdery and cause quite a bit of kickback. However, there are a few gems that are worth it for the pigmentation. Truth be told, once I have a play around with the palette I think I’d be able to whip a few looks with this bad boy. Even though I’m not one to fake tan, this product has me pretty intrigued. It boasts to give you a sunless tan with salon results, right at home – veryyyy interesting. There are definitely some days when my skin feels a little bit pale and lifeless looking and want to liven it up a bit,whilst looking natural. Queue the airbrush formula, as this baby gives effortless 360 degree tanning with a beach ready glow. Even a self tanning amateur can pull this one off, right? 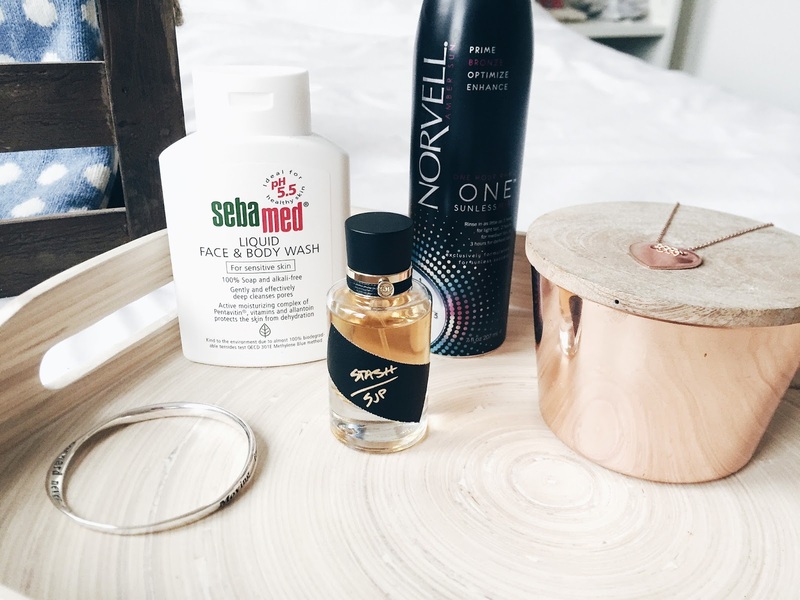 As I have sensitive skin, I really do have to be careful with using certain body or face washes, as I could suddenly have an adverse reaction – like redness or stinging, not cool. This wash is specifically formulated for sensitive skin (can I get a hell yeah?) and is super moisturising, and pH balancing. I also love the fact that it’s biodegradable and therefore kind to the environment. Got to admit, I’m a sucker for a classic watch. This one is no exception, as Elie Beaumont always do watches right. I already have 2 watches from Elie, that I was kindly gifted with almost a year ago and I still love and wear them to this day. So I can definitely recommend them in terms of quality! 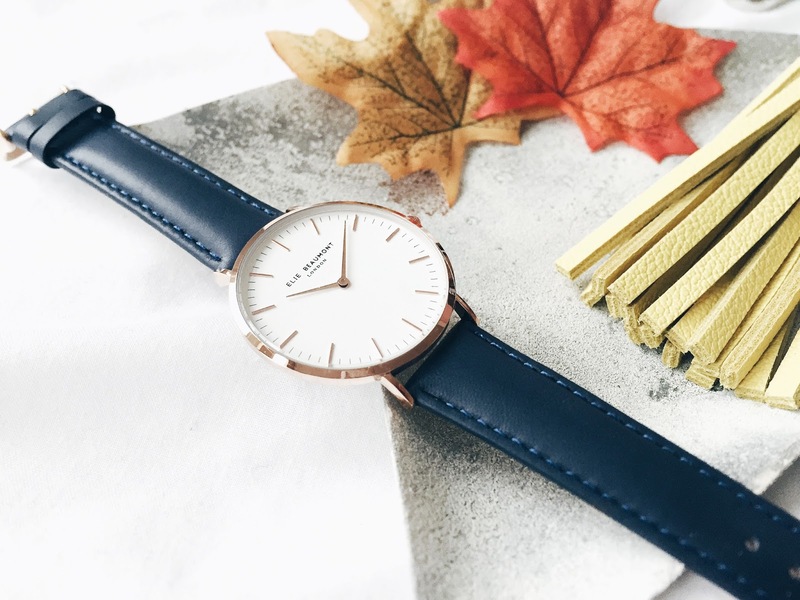 Even though navy would not be my first, second, or third choice of colour, I love the rose gold detail on the watch face. 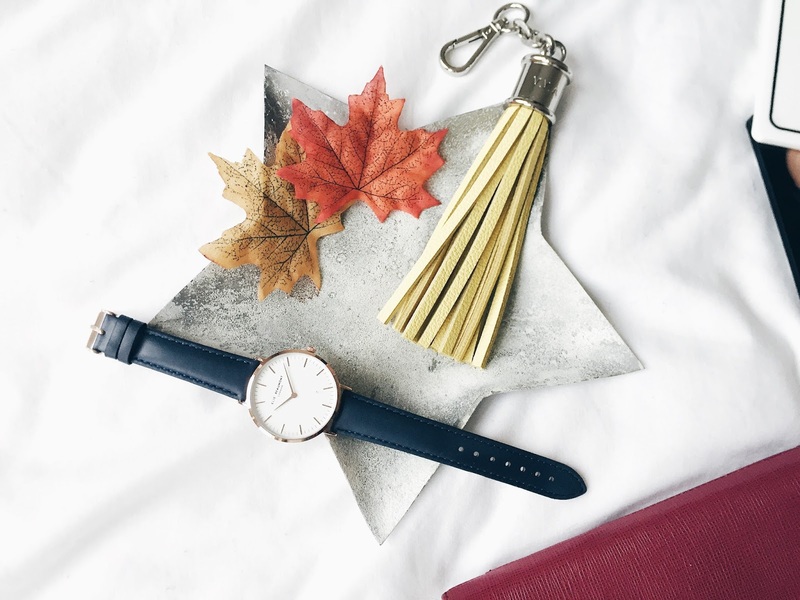 This watch would be perfect to pair with a classic off-white knit to hit the AW16/17 nautical trend, as seen at Tommy Hilfiger. 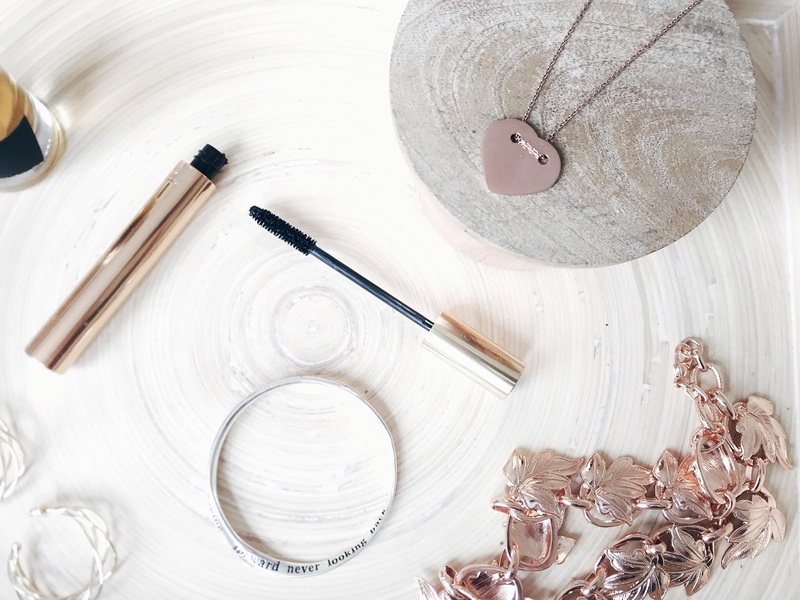 If there’s one thing that I do have a real passion for, it’s jewellery. Anyone who knows me, also knows that I religiously wear my 8 sterling silver rings everyday – that’s just me! 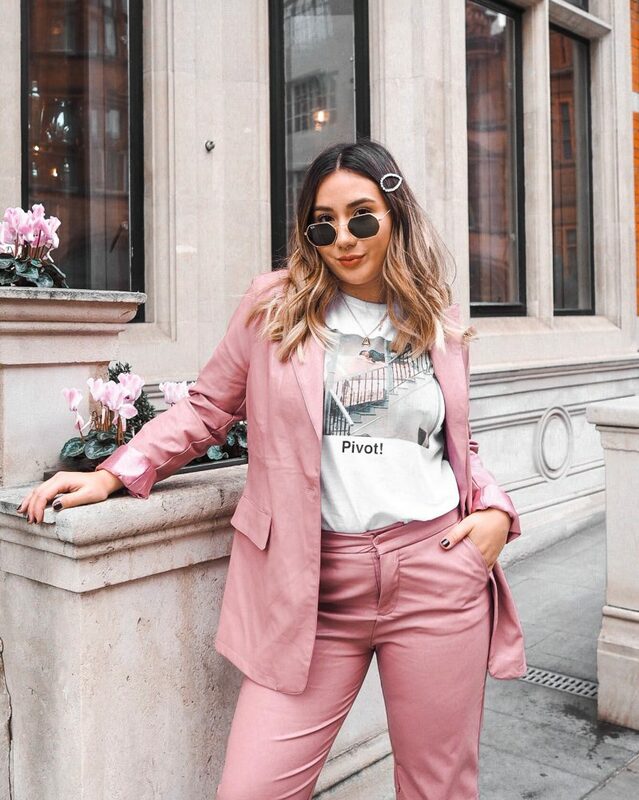 It’s such an easy way to customise any look and give personal touches to everyday outfits. I absolutely love these picks from Majique as they’re so unique, and are items that I would definitely pick out myself. 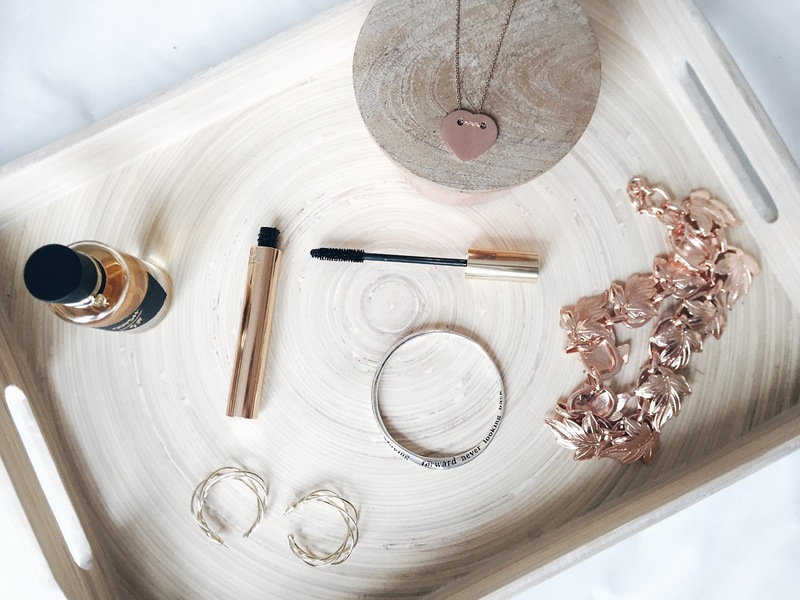 The earrings nod to the (always) trending geometric trend, and the rose gold necklace features the most gorgeous leaf design, perfect for the autumn months! 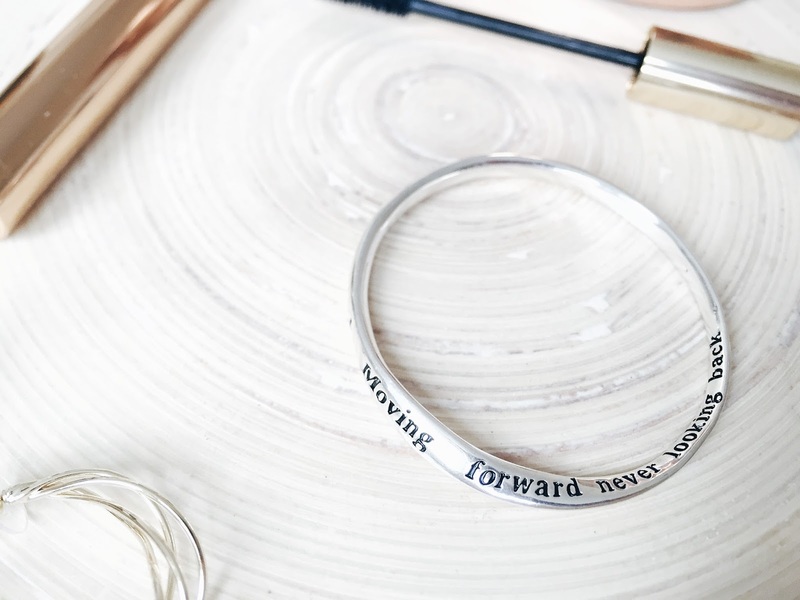 However, my favourite piece is the silver bangle, which features the quote: “Moving forward never looking back” – uhhh, love?! It also has a very unique twist style design which adds that lil something extra to the piece. Ohhh, I Love Designer, take my heart – This piece is ridiculously beautiful. I was so joyful upon peeking into the little jewellery bag and spotting something rose gold at the bottom. 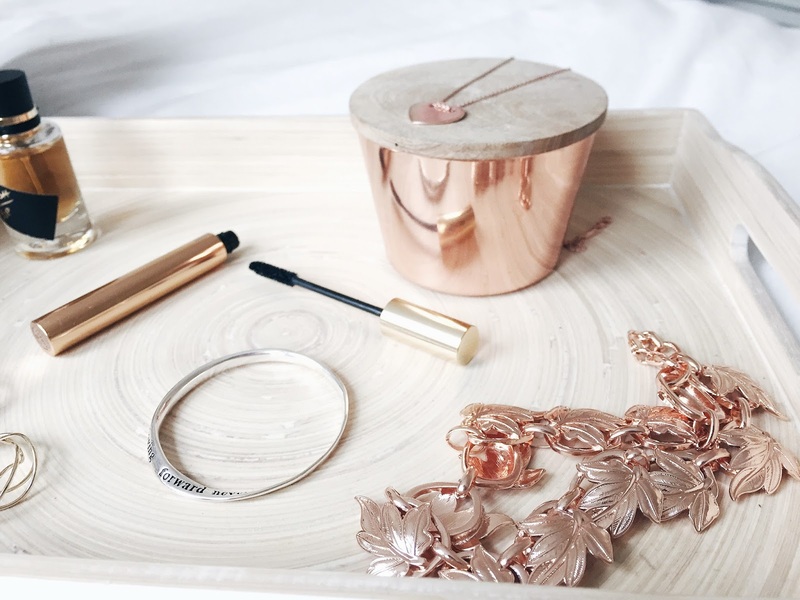 I mean, who isn’t obsessed with rose gold, right? It’s such a versatile necklaces for A/W, and I’m certainly going to be pairing mine with soft grey & cream knits. 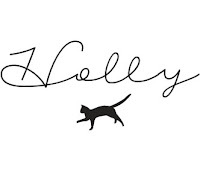 Each piece is personalisable as you can get your name, or the name of someone special, engraved on it! 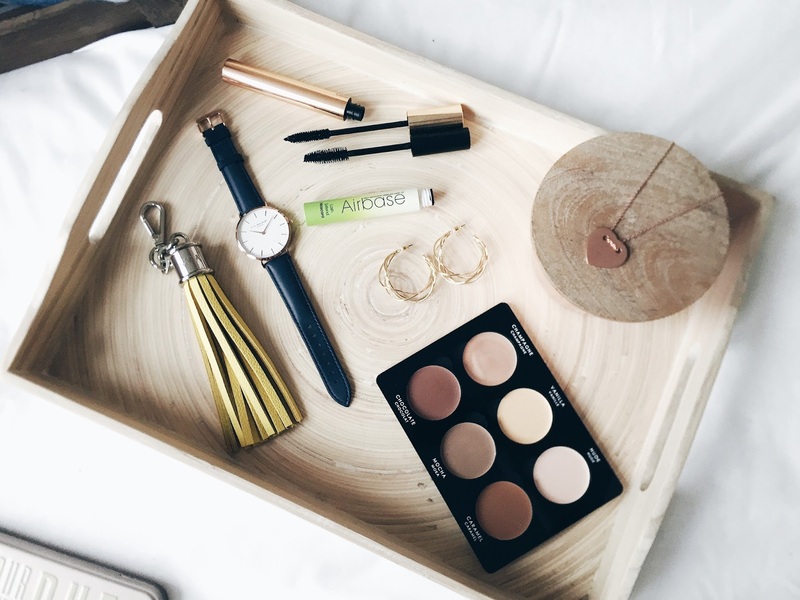 I think that this is an ideal birthday or christmas gift for a special lady in your life, be it a mother, sister, or girlfriend – I can see this working for women of all ages and lifestyles as it’s just so effortlessly pretty. Plus, did you spot the semi-precious garnet stone in the chain heart tag? 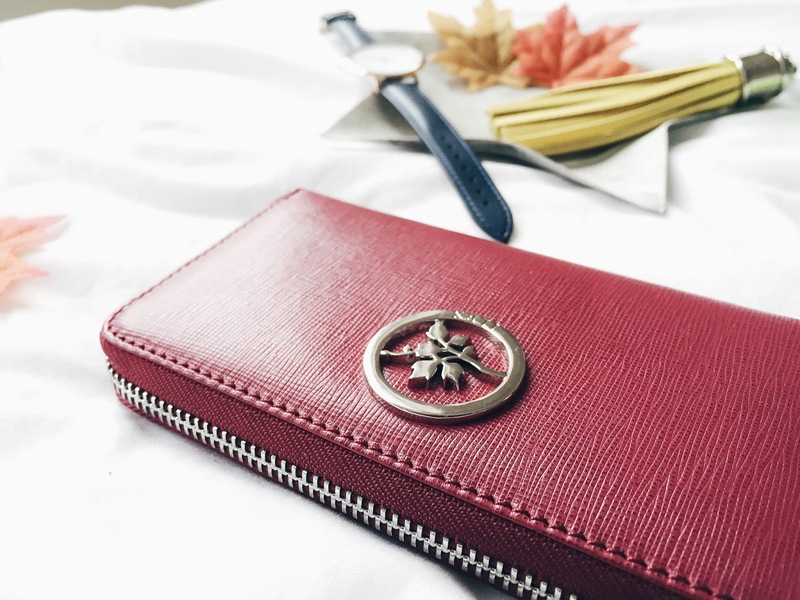 As if there’s anything more perfect than a raspberry toned purse for Autumn. The perfect pink purse is something that I have been craving for a while now, and this one even matches my hair. Could it get more perfect? 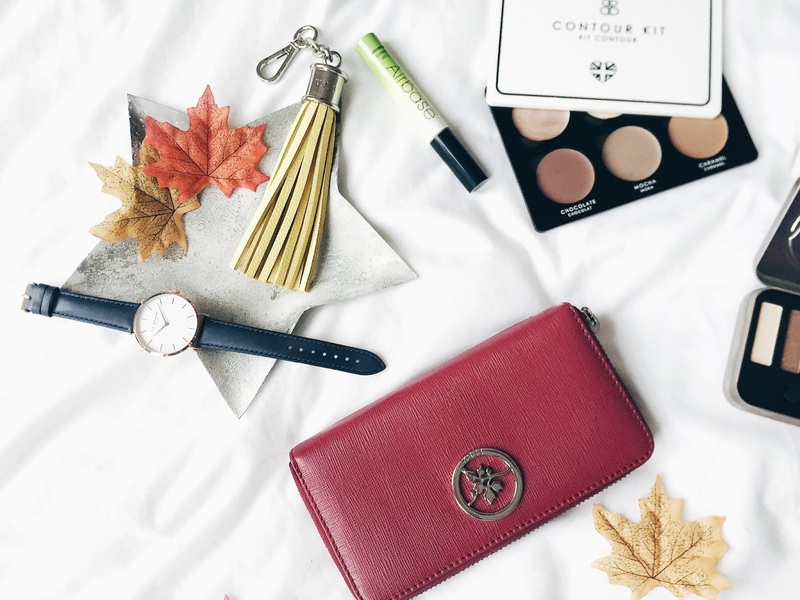 The purse is real leather, and you can feel the quality of it by touch. The silver hardware is the icing on the cake, this purse definitely looks the part. Can’t wait to fill this up and pop it in my handbag, ASAP! I can confirm that my apartment is bloody freezing right now. Yesss, we’re students so we are putting off turning the central heating for as long as possible. Heating rationing is definitely a thing for students, trust me. 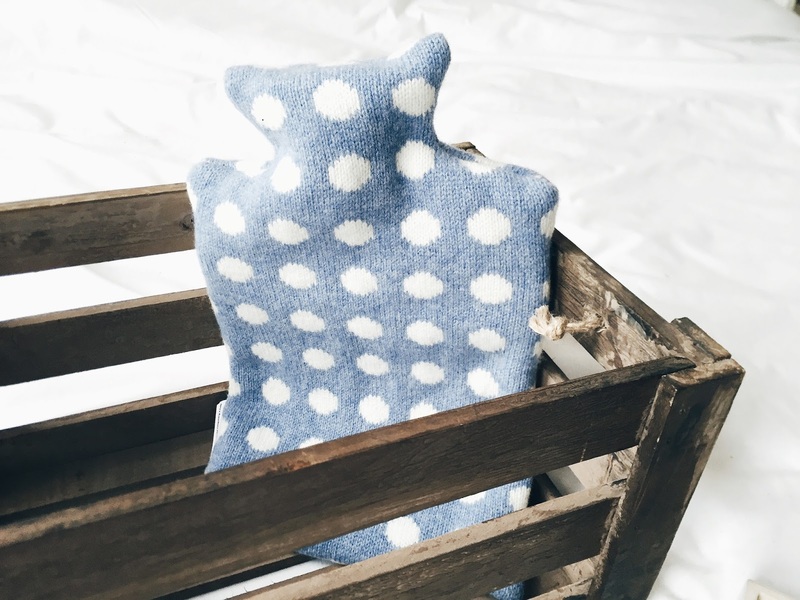 To keep warm I’m always layering on fluffy hoodies, soft trackies, fur blankies, and of course – hot water bottles! It’s always better to have one that’s cute, so when I spotted this in the hamper I was so excited to have a super kayoot new one to replace last years’! I love that the super soft cover does actually cover the entire hot water bottle, and it’s pretty decent size too. The cover is comfy & wool knitted, so I can’t wait to utilise this one tonight! I really do love bag accessories, so I’m pretty sad that this one didn’t come in a more wearable shade. I don’t own anything yellow, and for good reason – it just doesn’t suit me! However the accessory itself is so well made, it’s unreal. From the silver chain detail, to the actual leather – nothing was overlooked when creating this lil guy. They do stock them in plenty of colours, so I might have to treat myself to one of the B&W / Leopard / Animal print ones soon! 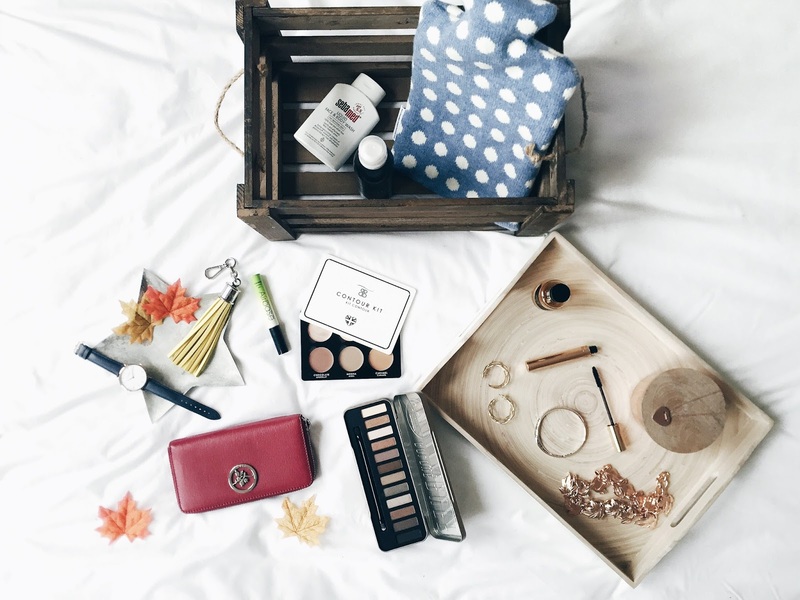 Which products are you loving for Fall 2016?